RUSA is pleased to announce the slate of candidates for the 2016 ALA/RUSA elections! The 2016 elections will open on March 15 and close on April 22. Read all the details here. Degrees and Certificates:Creighton University, MBA, Business, 1992; Long Island University, MS, Library Science, 1983; Marymount College, BA, History, 1974. Kit Keller, Chris LeBeau, Elizabeth Malafi and Andy Spackman. “Meeting the Need for Library–based Financial Literacy Education” Reference and User Services Quarterly 54.3 spring 2015, 47-51. LeBeau, Chris. “Start-Ups,” in Basic Business Library: Core Resources and Services. 5th ed. Eric Forte and Michael Oppenheim, eds. Westport, CT: Greenwood Publishing, 2011.LeBeau, Chris. “Librarians as Adjunct Practitioners,” in Reference Reborn: Breathing New Life into Public Services Librarianship. Diane Zabel, ed. Santa Barbara, CA: Libraries Unlimited, 2011. RUSA and BRASS have been my professional home for 13 years. RUSA is a place to cultivate friendships, create a professional network, assume responsibilities apart from the workplace, and to grow professionally. It has also been a place to expand horizons due to its rich diversity. Today’s librarians must meet the demands of rapid change and master multiple skillsets. In response, having had a hand in its creation, I support our new strategic plan emphasizing greater member engagement, expanded learning opportunities and better member value. I welcome Interest Groups that offer new topics of conversation that bridge Sectional boundaries. I value our signature RUSA awards. I would like to see RUSA develop more best practices. I encourage our younger members to share ideas for a new generation. While there is a plethora of new conferences, I hope librarians will find value, as I have, in the many benefits of RUSA. Task Force on Membership Recruitment and Retention, 2005-2008. For work of an individual to recognize significant contribution to the department, division, or library that resulted in cost savings, streamlined processes, or enhanced services. I have worked hard for the profession as a leader in ALA/RUSA; at Lauinger Library teaching classes and creating collections of distinction; and in Georgetown University serving in the Faculty Senate (even when Librarians don’t have faculty status) and being on the Intellectual Property Committee and Co-Chairing the Election Committee. My service is shown in my books, articles, lectures, and by teaching Business Research in Catholic University’s School of Library and Information Science. I would like to continue my service as a RUSA Director-At-Large. Jennifer C. Boettcher and Leonard M. Gains. Industry Research Using the Economic Census. (Greenwood Press: Phoenix, AZ.) 2004. David Gibbs, Jennifer Boettcher, Jill Hollingsworth, Healther Slania. “Assessing the Research Needs of Graduates Students at Georgetown University,” Journal of Academic Librarianship, Available online 14 August, 2012. Jennifer Boettcher. “Challenges and Opportunities Presented by NAICS,” Journal of Business and Finance Librarianship. 5, no. 2 (1999), 3-14. I respect information professionals. We are vital to preserve the past, instruct the present, and protect the future. ALA’s role is to educate its members and be a voice for the profession. We advocate information policies holding true to our established ethics. Divisions like RUSA deftly handle ALA’s education mission. RUSA has a lot going for it with a diverse membership. I appreciate your support. Presnell, Jenny L. The Information-Literate Historian: a guide to research for history students. 2nd ed. NY: Oxford University Press, 2013.Gibson, K., Ladd, M. & Presnell, J. (2015) “Traversing the Gap: Subject specialists connecting researchers and digital humanities centers.” Digital Humanities in the Library: Challenges and Opportunities for Subject Specialists. Arianne Hartsell-Gundy, Laura Braunstein, and Liorah Golomb (eds.). Chicago: Literatures in English Section, Association of College and Research Libraries.Brinkman, Stacy Katie Gibson, and Jenny Presnell When the Helicopters are Silent: The Information Seeking Strategies of First Generation College Students. ACRL Proceedings April 10–13, 2013, Indianapolis, IN. RUSA needs to continue to consider how we meet the educational and professional needs of our members, both of those who regularly attend our conferences and of those who, for many reasons cannot. RUSA and ALA should be the organization that librarians turn to for information, continuing education, and for professional development and support. At the division level I believe we have begun to look at different ways to serve our members through several initiatives such as the formation of interest groups and through the Learning Opportunities and Knowledge Coordination Task Force. I would hope that as a member at large I could work to establish connections between the sections to learn from each others’ activities and services. I also cherish the public and academic library membership and think it makes us a richer division. I’d like to increase the communication between these librarians. University of Alberta Library and Information Studies Alumni Association, Communications Officer, 2013 – present; Greater Edmonton Library Association, Student Representative, 2012-2013; University of Alberta Library and Information Studies Student Association, Part-Time Student Representative, 2011-2013. ALA 2012-2013 Spectrum Scholar, Awarded June 2012; Native Counselling Services of Alberta Long-Term Service Award (5 and 10 years, respectively), 2005, 2010; Sam Laboucan Memorial Award, 2006. Shirley MaCrae Book Award, (for a displayed love of reading) 1989. From 2006 to 2008 I worked to add my one-person library to the First Nations Information Connect, an online consortium of six First Nations and Tribal college libraries throughout the province of Alberta, Canada to join the Lois Hole Campus Alberta Digital Library, an online storehouse of more than 4.5 million academic journals, books, encyclopedias, newspaper articles, video clips and other materials. In 2008 the consortium opened, allowing access for students at First Nations post-secondary institutes in the province to a province-wide standard. In 2013, as the RUSA Spectrum Scholar, and under the direction of President Kathleen Kern, I co-coordinated the IAmRUSA project, conceived as a way to highlight RUSA members and start a dialog among interested parties. Over the course of my term, we interviewed 58 RUSA members from across North America, gaining over three hundred comments and nearly 100,000 page views. This was an incredible experience in meeting RUSA members working across the profession and an amazing way to spend my time with RUSA. During the first fifteen years of my career in librarianship, I’ve helped my wife raise our two daughters, became a certified Toastmaster, completed a Bachelor’s degree, and completed my MLIS, while service on three association executives boards and doing my work on the IAmRUSA project as the 2013-2015 RUSA Spectrum Intern. I was able to achieve all of this through teamwork, learning how to help those around me and sitting in awe of the passion association members bring to the boards they serve on. As a RUSA Director-at-Large I would wish to help the organization as best I can, bringing consistent support to the people I’d be working with to ensure that the kind of support I have enjoyed through my academic and professional career could be given to others. To date, my work with RUSA has been a career highlight, and I would sincerely like to return the favor. Boeninger, Chad F. “Using Web Video for Staff Training,” Staff Development Handbook 3rd Edition (American Library Association), Ed. Carol Zsula, 2013. Boeninger, Chad F. “Get in the Game: Adapting Library Services to the Needs of Gamers,” The Desk & Beyond: Next Generation Reference Services (ACRL), Eds. Sara Steiner and Leslie Madden, 2008. During my tenure at Texas A&M University, I have brought active learning further into the classroom by leading an effort to use web-based polling in library instruction sessions. I have also reached business students earlier in their college careers via outreach to a freshman business class most business students take. The effort of which I am most proud is my work with the Entrepreneurship Bootcamp for Veterans with Disabilities (EBV), where I provide business research assistance to post-9/11 veterans who wish to start their own businesses. I have created an EBV Info Portal for veterans from all 10 EBV institutions across the country. This resource provides access to several proprietary business databases, as well as freely available websites, to assist these veterans in succeeding with their ventures. Hoppenfeld, Jared and Elizabeth Malafi. “Engaging with Entrepreneurs in Academic and Public Libraries,” Reference Services Review (Emerald Group Publishing Limited), Volume 43, Number 3, 2015. Hoppenfeld, Jared and Michael M. Smith. “Information-Seeking Behaviors of Business Faculty,” Journal of Business & Finance Librarianship (Routledge), Volume 19, Number 1, 2014. Hoppenfeld, Jared, Trip Wyckoff, Jo Ann J. Henson, Jenna N. Mayotte, and Hal P. Kirkwood Jr. “Librarians and the Entrepreneurship Bootcamp for Veterans: Helping Disabled Veterans With Business Research,” Journal of Business & Finance Librarianship (Routledge), Volume 18, Number 4, 2013. I enjoy serving on BRASS committees and presenting at BRASS sessions and would be honored to serve as BRASS Secretary, if elected. I believe that an important service BRASS provides is professional development for those who provide business reference services in various types of libraries. I am inspired to see the work of numerous committees aimed at continuing with this important part of BRASS, and I would continue to support these efforts as a member of BRASS Exec. Having served as secretary on a library committee as well as in various meetings, I am comfortable with my ability to take detailed minutes. A goal of mine would also be to ensure all BRASS documentation is up-to-date, including the BRASS Handbook. Co-created CrowdAsk, a crowdsourcing system for reference. Co-founder of New Business Librarians Discussion Group. I strongly believe in the power of BRASS as force of good in the realms of librarianship, information science, higher education and the greater business community. As secretary, my focus would be on listening to BRASS members to better preserve the record for years to come. I will work hard to take comprehensive notes at meetings and upload my notes in a timely manner. 1991 – Colorado Broadcaster’s Association – Best Public Affairs program for large market radio – KVOD-FM: Curtains Rising – Weekly news/classical music program about former communist countries. Topic: Online workshops on Communications: Memos, Press Releases, Newsletters, Annual Reports; Social Media and Internal Wiki’s. January 2015 – American Library Association – Webinar: New Sources of Revenue: Naming Rights, Crowdfunding, Sponsorships, and more. I’m concerned about the declining money and resources libraries of all types have faced recently. This impacts both our ability to serve our communities as well as the ability to recruit and retain qualified people. To help solve some of the problems associated with this I’ve been cross-pollinating the business skills learned in my previous radio career into the library field, by teaching classes in business communications, writing about efficiency in library operations, and most recently, writing and conducting webinars and forums on finding new revenue streams for libraries. We need to become financially stronger, without sacrificing our values, much like Public Broadcasting has done. One step towards that will be building up our own abilities to become business education centers for our various communities, academic or public. I see BRASS as having an important role in that, which I’d like to assist in. University of Chicago, MA Library Science, 1984. Wichita State University, MA English, 1973. ALA Committee on Organization, Member 2008- 2010, 2011-2013; ALA Elections Committee, Member 2007-2011; ALA Reference Books Bulletin Board, Member 1994-1996. MARS Achievement Recognition Certificate (“My Favorite Martian”), 2004. Alice Berline Kaplan Center for the Humanities, Northwestern University. Fellow, 1995-96. One accomplishment that I am very proud of is organizing a discussion forum at the last Dallas midwinter meeting, as chair of a CODES committee, on “Life After the Statistical Abstract.” We brought together representatives from Bernan and ProQuest to talk with concerned librarians about the demise of the Statistical Abstract, resulting in the two publishers continuing the publication as a private venture. I’m also proud of completing my book-length study of the project to produce the first US national union list of serials in the 1920s, the first significant cooperative project to support research libraries. McHugh, William A. “‘The Instinctive Grammatical Moralizer’: H. W. Fowler and His Dictionary of Modern English Usage,” in Distinguished Classics of Reference Publishing, edited by James Rettig, 41-53. Phoenix: Oryx, 1991. Baker, Betsy, Natalie Pelster, and William McHugh. “Refinding Reference: Carrying the Reference Mission into the Libraries of the 21st Century,” in Finding Common Ground: Creating the Library of the Future without Diminishing the Library of the Past, edited by Cheryl LaGuardia and Barbara A. Mitchell, 99-110. New York: Neal-Schuman, 1998. RUSA has been a key part—actually, the key part—of my professional life for the last thirty years. One of the highlights of my career is serving as chair of MARS (now ETS) some years ago. Since then, my job responsibilities have turned increasingly to collection work, and CODES has become a natural home. We are in an era of significant changes in the way library collections are being developed. We are also seeing collection work increasingly integrated with other public service work, giving CODES a potential role as the locus of conversation about the change we are all experiencing. I always welcome the opportunity to give back to RUSA what I have gained from it, and am excited and humbled by the opportunity to lead CODES at this time. MOREnet Public Library Transformation Grant 2013-2016. We challenge you and your library. As a member of RUSA and of CODES, I strongly believe that we are all better librarians when we work together to share our best practices, our new ideas, and our favorite books and authors. We are all able to serve our communities better when we are able to have committee meetings, webinars, table talks, and discussions, whether this is at conferences or through webinars. As a librarian and as the director of a medium-sized public library, I believe that we should strive to provide the information that every member of our communities need, make available to all the widest array of literature and art possible. Our patrons should know that libraries are there to help explore the lives and thoughts of our collective past through classic works of history and literature, to inform them of the current state of the world in all factual and fantastic forms, and connect all community members to their best possible future, introducing them to technologies, allowing them all to thoughtfully interact with the waves of change sweeping across all of our lives. I believe that we should be there to provide a path to the knowledge, the reading, viewing, and listening experiences that will change and enrich their lives. O’Gorman, Jack, editor. Reference Sources for Small and Medium Sized Libraries. 8th edition, Chicago: American Library Association, 2014. O’Gorman, Jack, editor. Reference Sources for Small and Medium Sized Libraries. 7th edition, Chicago: American Library Association, 2008. O’Gorman, Jack, and Trott, Barry. “What Will Become of Reference in Academic and Public Libraries?” Journal of Library Administration, Volume 49, Number 4, 2009, p 327-39. Among my Major Accomplishments are completion of my doctorate in American Studies while working in a challenging position as Head of Reference, my transition to my position in library assessment while remaining involved in collection management and information literacy activities, and my promotion to Professor in 2010. I am dedicated to the overall RUSA mission of integrating ideas from public and private libraries and the cross-fertilization that I have witnessed through my committee work with CODES. I work to convince other librarians of this important collaboration so they too will become involved in a myriad of interest groups. Founding member and Chair of Cuyahoga County Public Library’s Reconnect with Reading Committee, which develops and oversees all readers’ advisory services for CCPL. I am committed to fostering a love of learning and continual self-improvement. I am dedicated to sharing my enthusiasm for learning and reading with the general public. I would love to serve in any capacity that will help our customers reach full potential. Whether it is to inspire one to excel at school, to learn a new language, to discover a new career, or just to satisfy that insatiable curiosity and follow that desire for lifelong learning wherever it might lead, we should inspire. We do so by making available the resources, tools, staff, and the space that make all of the above and much more possible. We stand as the embodiment of limitless human potential. To ensure that one’s reach always exceed one’s grasp. 2014, Trustees Teaching Award, IUPUI Office of Academic Affairs; 2013, Trustees Teaching Award, IUPUI Office of Academic Affairs; Outstanding Reviewer 2013, for Collection Building, Emerald Literati Networks Awards for Excellence; Hedlund, O. & Copeland, A. (2013). Collection Management and the Budget Crunch: Are We Adequately Preparing Library Students for Current Practices? Collection Building, 32(4), 128-132 . [Highly Commended Paper 2013, Emerald Literati Award]. Andrea Copeland is an Assistant Professor in the Department of Library and Information Science in the School of Informatics and Computing at Indiana University in Indianapolis. For the past decade, she has researched public libraries and their relationship with communities. Her current research projects focus on connecting the collections of individuals and community groups to a sustainable preservation infrastructure. In particular, the potential for public libraries to develop the theoretical, technical and practical framework necessary to create such an infrastructure in support of preserving digital representations of community-based heritage. She has been a member of ALA for over 20 years and has served on several RUSA committees including the Notable Books Council and most recently the CODES Collection Development Education Committee. As a librarian, she worked for The New York Public Library, Hunter College Library of the City University of New York, and the NASA Goddard Space Flight Center Library. In my capacity as CODES Member-at-Large, I would foremost facilitate communication between the executive committee and the other committees within the section. Further, I would contribute to the dialog on issues related to collection development and management, such as, privacy and security, education and outreach, rights and licensing, open access and open source, evaluation and assessment, and library as publisher or co-producer. Librarians who work with collections are faced with new challenges and opportunities as organizational emphasis continues to evolve from collections to community engagement through services and library as place. Other areas for continued professional exploration include preservation and long term access to digital acquisitions, bridging the digital divide, and meeting diverse user expectations. In the position of member-at-large, I would work towards a greater shared understanding of these issues. Maxine Goodman Levin College of Urban Affairs, Cleveland State University, Leadership Academy, Certificate, 2003; Wayne State University, MSLS, 1992; Kalamazoo College, BA French, 1988.Division Affiliation(s): LLAMA, PLA, RUSATo which Round Tables do you belong? A frequent speaker on topics related to readers advisory and serving linguistic minorities, I have presented for national, state, and local professional organizations, including ALA, PLA, the Ohio Library Council, and the New York Library Association. As a library director, I’m proud to have led the redesign of our services and spaces and accomplished a 40% increase in circulation and increases in other measures sufficient to be named a “Star Library” by Library Journal, while twice having been named a “Best Place to Work” in the New York capital region. Author: “Travel: The London Olympics and Beyond” Library Journal, 137.4 (Mar. 1, 2012). Author: “World Language Collections: Mining Demographic Data.” Chapter in “From Outreach to Equity: Innovative Models of Library Policy and Practice,” Robin Osborne, ed., ALA Editions, 2004. In more than two decades of library work, I’ve repeatedly seen our profession become obsessed with the package rather than its contents; and watched as we let the trade and craft of librarianship be driven by technology, instead of harnessing technology as a tool to help serve our users. As we increasingly embrace the “participatory library” model of service, with its focus on event planning, programming, and responding to the maker movement, I am concerned that we not lose the centrality of the written word to our profession. Neither a luddite nor a traditionalist, I am concerned with how, in a digital era, we balance our need and desire to create meaningful experiences for our users with our responsibility to select, disseminate, and preserve our written heritage. Learning about the needs of librarians who offer publishing services and making recommendations about how RUSA could meet those needs during my tenure as an Emerging Leader. Developing the RUSA/ETS Hot Topics program into a session that is known for providing useful information and hands-on experience with cutting-edge technologies. The robots and drones program at ALA 2015 was particularly fun! Actively facilitating the exchange of ideas and expertise among tech-minded librarians. Our professional community has made innumerable positive contributions to my library and I’m proud to have helped creative, innovative librarians learn and share tech-related expertise through programming at ALA.
Boatright, Beth. 2015. “Leading the Library (When You’re Not in Charge)”. College and Undergraduate Libraries, 22, no. 3/4. Boatright, B. Boyce, C., Espinosa, S., Kent, A., Marrall, R. 2015. “Library as Publisher: A New Initiative for RUSA?” Report and poster presented at the ALA Annual Conference, San Francisco, CA. DeArmond, A, Oster, A., Overhauser (Boatright) B., Palos, M., Powell, S., Sago, K., and Schelling, L. 2009. “Preparing Science Librarians for Success.” Issues In Science And Technology Librarianship, no. 59. This is an exciting time in librarianship. New media, new services, and new technologies are working their way into the fabric of our profession. Instead of “machine-assisted reference,” we’re thinking more holistically: How can we utilize new technologies to improve every aspect of public services in our libraries? Learn more about me and my vision for ETS on my website: bethboatright.is/ETS. I joined ALA in 2009 and have since led committees about programs, professional development, and planning for the future of our organization. My home within ALA is RUSA; my tribe is ETS – librarians who want to learn, lead, and continuously improve the way we use technology in public services. I have been a member of RUSA MARS (now ETS) since 2005 when I assumed the position of Assistant Director of Reference and Instruction at the University of South Florida. In 2008 I was promoted to the positon of Director of Academic Services. I was honored by my colleagues in RUSA MARS two years ago when I received the “My Favorite Martian” award for service to the section. At the USF Tampa Library, I have overseen the development of a Learning Commons at the USF Tampa Library, the re-envisioning of reference services and the creation of a one-desk model in 2013 to include the introduction of a new group of highly trained undergraduates as peer-reference assistants. In addition, I received a grant for the development of a new library service center, the Digital Media Commons in 2014. This new center lends digital equipment to students, teaches digital literacy skills, and plays an important role in the transformation of curriculum to include student digital projects. Cunningham, N. A. (2011). Academic libraries moving ahead with student tech fees. Florida Libraries, 54(1), 4-7. The ETS section has just experienced a name change from Machine Assisted Reference Service (MARS) to Emerging Technologies Section (ETS). The structure of the section and information about it on the website needs to be revised to reflect the new aspirations of the section to expand membership and engage in new initiatives. For example, there is no longer a need for a print handbook and much of the information of the current handbook is either unnecessary or needs to be updated. It is my hope to oversee a streamlining of the structure of the section with clear definitions of the roles of each committee and its members. Stigberg, S, Guittar, M, & Morse, G: “Capturing Qualitative Data: Northwestern University Special Libraries’ Acknowledgments Database,” Portal: Libraries & The Academy, Volume 15, Number 4, 2015. Andrews, Monique, Adis Beesting, Marija Freeland, Wendy Mann, Geoff Morse, and Pam Were: “Statistical sources: Online resources for education and social science librarians,” College & Research Libraries News, Volume 71, Number 1, 2010. Communication between the executive committee and the membership body of the Emerging Technology Section (ETS) is crucial for the effective functioning of the ETS. As Secretary I will work to ensure that all Executive Committee meeting minutes are up to date and I will work with appropriate committees and committee members to ensure that documentation and a written record of ETS activities continues to be available. Presentations: Cerny, J., & Reiman-Sendi, K. (2015, June 28). Now You’re Talking: Tools to Utilize for Virtual Services. Presentation given at 2015 American Library Association Annual Conference; Cerny, J., & Torrence, M. (2015, January 31). Talking Chat: The Good, the Bad, and the “What Were We Thinking?”!. Presentation given at 2015 American Library Association Mid-Winter Conference; Cerny, J., & Holcomb, J. (2012, October 25). Cracking the Code: Using QR Codes to Engage Teens at Your Library. Presentation given at 2012 Virginia Library Association Annual Conference. Cerny, J., & Holcomb, J.: “Using a QR Code Scavenger Hunt (iHunt) to Promote Library Services to Teens,” Virginia Libraries, Volume 58, Number 1, 2012. If elected, I will strive to include and reach out to librarians that are not from traditional intuitions such as public and non-profit academic libraries. I would like to reach out to current and potential ALA members that are working in these type of librarian positions and speak with them about their concerns and needs as library professionals. How can the American Library Association serve you better in continuing your professional career? Conversations will entail a discussion on how their unique voice can benefit the library profession and the communities they serve. By each librarian coming together and feeling they are part of an organization that represents them, the American Library Association can grow and stay relevant in the always evolving library profession. Scholar, ALA Spectrum Initiative Leadership Institute. June 11-14, 2002. Statement of Professional Concerns/Aspirations if Elected: Serving as a member/volunteer in ETS has enriched my experience as a librarian by providing me access to professional resources and amazing librarians. Librarians in the ETS have been incredibly supportive in helping me to grow professionally specifically in helping me to gain skills in leadership, program planning and library advocacy. It would be an honor to serve ETS as Member-at-Large. If elected, I plan to focus my efforts on working with the officers and committee chairs to advance the work of ETS to attain the highest possible quality in planning, developing, managing, teaching, or conducting all forms of computer-based reference information services in libraries. Todorinova, L. (2014). Wikipedia and undergraduate research trajectories. New Library World 116 (3/4): 201-212. Todorinova, L. l., & Torrence, M. (2014). Implementing and Assessing Library Reference Training Programs. Reference Librarian, 55 (1), 37-48. Todorinova, L, et al. (2011). Making decisions: Using electronic data collection to re-envision reference services at the USF Tampa Libraries. Public Services Quarterly 7 (1): 34-48. As an Undergraduate Experience Librarian, I am guided by a commitment to student success and the library’s role in supporting undergraduate education. I am fascinated by the process through which novice researchers find their voice in the scholarly conversation. I am also very aware of the difficulty some students have in being able to navigate and use scholarly resources. In my work as a librarian, I have combined an interest in emerging technologies with my focus on the first-year experience, because I believe that the systems we use are crucial to how we connect with students. As a prospective Member-at-Large, I look forward to contributing my perspective and understanding of the user experience to the work of ALA RUSA ETS. Vaidyanathan, Chella. “Three Steps for Humanities Subject Librarians Interested in DH.” Make It New? A dh+lib Mini-Series (E-Book), June 2013. Vaidyanathan, Chella. Selected Bibliography of US Government and International Documents on Latin America and the Caribbean, Government Documents Round Table (GODORT) Occasional Papers, July 2009. As Vice-Chair/ Chair-Elect, I will work to ensure that RUSA History Section’s efforts focus on important matters, such as creating more professional development and networking opportunities as well as building strong partnerships between RUSA History and other ALA/ ACRL Sections. Since 2013, I have been involved in RUSA History and it has been a rewarding experience. Particularly, I look forward to working with my dedicated colleagues for addressing issues related to reference/ research services, collection development, data curation, digital humanities, and integration of information literacy in curriculum. Forging partnerships with Western European Studies Section, Collection Development and Evaluation Section, Digital Humanities Interest Group, etc. will create new opportunities for sharing expertise in these areas. Moreover, with the changing roles of history librarians, I believe that we need to foster an ambience that will encourage us to engage in peer-to-peer mentoring opportunities to deal effectively with challenges. “Digital Humanities in Libraries” (with Michael Rodriguez), Encyclopedia of Library and Information Sciences, Michael Levine-Clark, John MacDonald (eds. ), (New York: Taylor & Francis, under contract). Review of Ian Gregory and Alistair Geddes (eds. ), Toward Spatial Humanities: Historical GIS and Spatial History, Information & Culture: A Journal of History, August 2015. “Proposed model of information behaviour in crisis: the case of Hurricane Sandy” (with Irene Lopatovska) Information Review 19 (1), paper 610, March 2014. As a librarian new to the profession and working in a dynamic (and at times mercurial) new field in academic librarianship (digital humanities), I believe I can bring my keen initiative and perspective as a Member-at-Large for the RUSA History Section. By leveraging my work on digital projects, I’ve attempted to re-imagine my role as an history librarian, collaborating with faculty on novel forms on pedagogy, expanding consultation opportunities, targeting use of library resources more effectively, and enlarging the role of departmental liaison with faculty support. As a Member-at-Large, my goal would be to foster conversations among history librarians around best practices, especially concerning pedagogy, effective liaising, outreach and collection development. Ultimately, in helping to facilitate these conversations, I hope that I can assist my colleagues with their library practice, while learning from and sharing with them. University of Denver, MA Librarianship, 1984. Eastern Washington University, MA History, 1999. Author: Primary Source Collections in the Pacific Northwest: An Historical Researcher’s Guide Westport, CT: Libraries Unlimited, 2005. The field of Librarianship is always evolving and the RUSA sections need to be responsive to the issues faced by librarians, in all types of libraries. The History Section can be an important home for ALA members from public, academic and special libraries from a diversity of backgrounds. We need to continue working to develop common ground and find places where the History Section can serve the needs of all its members. This may involve more webinars, workshops and touring opportunities to appeal to current members and to aid in the recruitment of new RUSA and History Section members. Ohio Library Council (OLC) member: 1999 to present. OLC Reference and Information Services Division Action Council: Coordinator, 2007, 2010; Assistant Coordinator, 2006, 2009; Past Coordinator: 2008, 2011, 2012. Widen the Lens Conference Planning Team: Member, 2012. Reference and Adult Services Conference Planning Team: Member, 2008. OPLIN Content Advisory Committee, 2014-present. Cleveland Area Metropolitan Library System (CAMLS): North Coast Neighbors Share-A-Book Committee, Web Site Coordinator and Logo Design Team member, 2004-5. Being recruited to teach Information Sources and Reference Services class at Kent State University School of Library and Information Science (KSU SLIS); Collaborating with KSU SLIS professor to provide her students with real-world virtual reference experience while serving as KnowItNow24x7 Coordinator; Creating “Esperanto, Elvish, and Beyond” exhibit on constructed languages (http://tinyurl.com/CPL-conlang-exhibit) at Cleveland Public Library; Creating foreign literature and teen services collections at Barberton (OH) Public Library. “Plus Ça Change: Instilling Foundational Values Within Evolving Reference Service Pedagogy” (forthcoming). With M. Matteson and C. Boyden. In L. Ellis and N. Sosulski, Teaching Reference Today: New Directions and Approaches. Lanham, MD: Rowman & Littlefield. While reference services are evolving, the foundations of our profession remain firm: a dedication to equal access to information, a respect for patron privacy, and a commitment to providing authoritative information. Even in the Age of Google, reference librarians are as vital as ever… maybe even more so. Communicating – and demonstrating – that necessity to patrons and administrators alike is crucial. This task falls to both individual librarians working in their institutions as well as to our professional organizations. 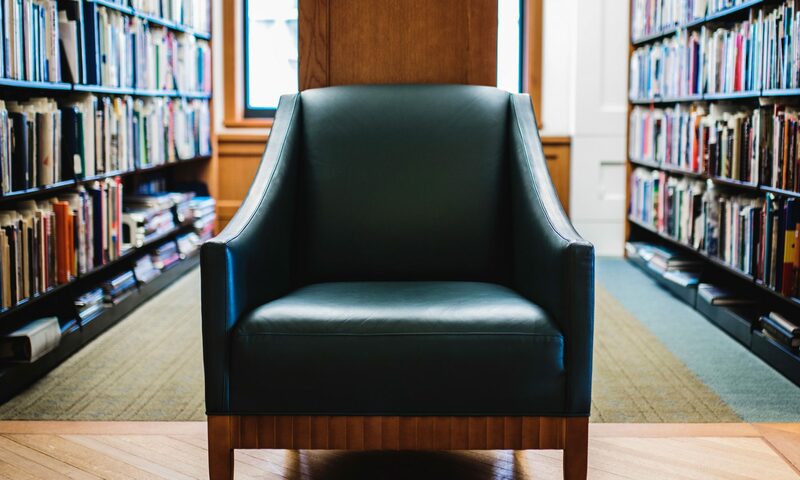 My hope would be to build on the work of previous RSS chairs and to continue to position the section as a resource to embolden and equip reference librarians in communicating and demonstrating their importance in today’s information environment. Iowa State University Library Student Computer Fee Allocation Committee. New equipment (hardware and software) for the Learning Connections Center. Rebecca Jackson, Principal Investigator, 2011. $24,519.00; Iowa State University Library Student Computer Fee Allocation Committee. Computer equipment additions for both the public area in Reference and laptops for instruction. Rebecca Jackson and Lorrie Pellack, Principal Investigators, 1999. $23,075.99. ; Lilly Endowment. Development and administration of a series of workshops on Dialog searching for faculty members at the University of Evansville, Evansville, IN. Rebecca Jackson, Principal Investigator, 1985. $25,000.00. Was responsible for planning and implementation of tiered reference service, with non-librarian staff assisting patrons with basic research queries. I organized staffing, training, services hours, move of the reference desk, assistance in getting librarian “buy-in,” developing procedures, and publicity. As a result of the changes, became the supervisor for Circulation and Media Services; With another library colleague, planned and implemented a library-wide staff development program modeled on the popular “23 Things” programs used by many public libraries. We requested, and received, permission for staff to use their work time to participate, selected and organized the training modules and started a blog for training and reflection. Very successful! ; Have served on many ALA division and section committees giving me experience in planning programs and conferences, creating planning processes for the organization, creating guidelines for practical applications in libraries, planning the future directions of an organization, reaching out to members to run for ALA division/section offices, and even selecting YA books for a well-known book list for college-bound students. Jackson, Rebecca. Mobile academic libraries: a snapshot.” Reference & User Services Quarterly, Volume 52, Number 3, 2013. Jackson, Rebecca, and Lorrie Pellack. “Internet subject guides in academic libraries: an analysis of contents, practices and opinions.” Reference & User Services Quarterly, Volume 43, Number 4, 2004. Jackson, Rebecca. “Cognitive development: the missing link in teaching information literacy.” Reference & User Services Quarterly, Volume 46, Number 4, 2007. RSS has many challenges and opportunities ahead. Its leaders must ensure that its website is continually updated with timely resources, and that its historical record maintained by fully documenting its past, including committee minutes and other materials. In terms of the section’s vitality, although the standard model of reference may be evolving, the importance of reference and user services and knowledgeable staff is only growing in the increasingly complex world of information organization and retrieval. RSS has an opportunity to become more vital than ever, across all types of libraries organizing and carrying out strategic work that will make a real difference to our membership, in the process attracting new members. Relevant programs and discussion groups are a good start, but there are so many other paths that RSS can take to extend its outreach and importance. I would like to help make that happen. Since RSS is one of the major organizations for people working in the reference area, it is imperative that news, best practices, study results, conference and meeting proceedings, etc., as discussed at the Board meetings, be made available in a timely and accurate manner. Helping disseminate this information is a priority for the position of Secretary and one I would be honored to undertake. 2012-2015: A project to understand the research needs of Ohio University graduate students won the 2013 Academic Library Association of Ohio Research Grant. The results of this project earned a poster prize at the 2014 Library Assessment Conference and research results were presented in a paper at the 2015 ACRL conference in Portland. Hagman, J. & Carleton, J. (2014). Finding friends for our first alumna: Connecting patrons with special collections via social media. College & Research Libraries News, 75(1): 14-17. Since becoming a librarian in 2008, I’ve valued the professional development resources and connection offered by the Reference Services Section. Recording the work of our professional organizations is vital to ensuring that those processes can continue into the future. As Secretary, I would work to ensure that the work of the session continued to be well-documented to ensure access for current and future members of the section. All of my major accomplishments have been collaborative efforts. I have had the opportunity to improve the libraries I’ve worked at through committee work and collaborative projects. Dominguez, Hammill, Brillat: “Toward a Usable Academic Library Web Site: A Case Study of Tried and Tested Usability Practices”, Journal of Web Librarianship 9 (2-3), 99-120, 2015. Iuliano (Maiden name): “Reaching out to minority librarians: Overcoming diversity challenges through mentorship”. ACRL, 483-490. (http://www.ala.org/acrl/sites/ala.org.acrl/files/content/conferences/confsandpreconfs/2013/papers/Iuliano_Reaching.pdf) 2013. Iuliano (Maiden name): “A whole new world: Using international information sources.” Reference Reviews, 26 (3) (2012): 4-7. I have had the pleasure of being closely involved in RUSA RSS for most of my short career. I know there are concerns about communication between the RSS committees and the RSS executive board. Additionally, I’ve heard of issues with accurate representation of RSS at RUSA meetings. I hope to enable communication and to increase our visibility to the rest of RUSA by sharing our accomplishments with RUSA and voicing the concerns of individual RSS committees to the Executive Board. I believe that through awareness and advocacy, we can strengthen our position. Additionally, I want to increase benefits of RSS membership for those who cannot attend conferences in-person through increased online learning opportunities. RSS needs to remain relevant and accessible to all members and I hope to encourage change that will keep RSS evolving to meet the needs of reference librarians and staff everywhere. Management and Operation of User Services Section (MOUSS) – Reference Services in Small and Medium-Sized Research Libraries Discussion Group, Secretary 2001-2002, Chair 2002-2003, Past Chair 2003-2004. Reference Services Section (RSS) – Evaluation of Reference and User Services Committee, Member July 2006-2010, Vice Chair 2009-2010, Catalog Use Committee, Member 2010- Chair, 2012-2014, Chair, Communication and Teaching at the Point of Need Committee 2014-2015. Sharing and Transforming Access to Resources Section (STARS) – Education Committee, Member, 2004 to 2006. Freund, LeiLani, Colleen Seale and Chris Poehlmann. “From Metasearching to Discovery: The University of Florida Experience.” in Popp, Mary Pagliero and Diane Dallis, Planning and Implementing Resource Discovery Tool in Academic Libraries. Hershey, PA: IGI Global, 2012: 22-43.
Review of Women’s History: Sites & Resources in Feminist Collections: A Quarterly of Women’s Studies Resources, 32(3-4), 2011, pp. 26-27. Crump, Michele, Carol Drum and Colleen Seale. “Establishing a Pre-Tenure Review Program in an Academic Library,” Library Administration & Management 22(1), 2008, 31-36. As a frontline reference librarian, I have found a natural home in the Reference Services Section (RSS), a section that continually provides excellent educational opportunities for reference professionals through programs, workshops, and discussion forums. I have had the privilege to serve and lead three RSS committees and have greatly benefited from each experience. It would be an honor to serve RSS as a member-at-large and if elected, I would continue to be actively involved in supporting this section, its members and activities. I recently began working with several other universities on a new Diversity Alliance steering committee that helped to advance the learning experiences of a cohort of resident librarians recently hired. In addition, I led the Performance Planning Task Force in the library with results that helped to structure and open up communication on performance goals and planning library wide. In addition, I am a recent participant of the Virginia Tech Executive Development Institute, which develops faculty for leadership positions at Virginia Tech. Mak, C., Ellingson, M., & Lancaster, C. Does your data deliver for decision making? New directions for resource sharing assessment. (2013). Interlending & Document Supply, 41(4). Sewell, B., Gilbert, C. What Makes Access Services Staff Happy? (2015). Journal of Access Services, (TBD). As always, I want to continue working toward communication and efficiency as well as effectiveness throughout ALA. As I follow in the footsteps of our previous esteemed leaders, I would want to continue to promote their good work and look forward to calling upon all members as leaders to maintain the momentum. I look forward to working with my colleagues, regardless of my position within the governing structure of ALA.
STARS/Atlas Systems Mentoring Award, 2011; Rethinking Resource Sharing Innovation Award – IDS Project Team, 2013. Founder/Contributor to resource sharing Online Learning Institute initiative, 2014 to present. Chosen to deliver Response from the Graduates at the Graduate Commencement ceremony when earned MBA, 2015. Little, Micquel and Lars Leon. “Assessing the Value of ILL to our Users: a Comparative Study of Three US Libraries.” Interlending & Document Supply, 2015. Hockenberry, Benjamin and Micquel Little. “How We Came to Dread Fridays: Developing an Academic Library Assessment Plan Two Hours at a Time.” College and Undergraduate Libraries. 20.3-4, 2013. Little, Micquel and Michelle Price. “Recruiting Parents, Retaining Families.” Reference Services Review: Special Retainment Issue. 41 (2), 2013. My statement of professional concern revolves around the changing approach to collections through shared initiatives and resource sharing expansion. The collaborations of libraries depends on the development of their librarians and staff. Engaging people in their own profession and the difference they can make is paramount to the future success of libraries as innovative advocates of information access and resource knowledge. The University of Arizona, MLS 1993. Resource sharing is a highly cooperative venture and libraries are best able to provide services to patrons by forming strong collaborations with partner libraries. It’s be my goal to collaboratively plan and implement systems, procedures and best practices for resource sharing with consortia partners including the Greater Western Library Alliance, Rapid, and the Utah Academic Library Consortia. As a member of the ALA RUSA STARS Interlibrary Loan Committee, I have developed programs that provide avenues to share methods that can help other libraries on a national level and strengthen resource sharing. Duncan, Jennifer; Carol Kochan and Lars Leon “We Sincerely Regret to Inform You That the Material You Have Requested is Unavailable via Interlibrary Loan” The Importance of Being Earnest: Charleston Conference Proceedings , 74-79 Purdue University Press , 2015. Lars Leon, June DeWeese, Carol Kochan, Billie Peterson-Lugo, Brian Pytlik Zillig. “Enhanced Resource Sharing Through Group Interlibrary Loan Best Practices: A Conceptual, Structural, and Procedural Approach.” Portal 3 No. 3 (July 2003). 1. The ability for Interlibrary Loan departments to have the necessary resources (staffing, budgets, etc.) to meet needs of patrons. 2. Ensuring that licenses for Electronic Materials (both books and e-journals) include Interlibrary Loan privileges. 4. As library budgets are facing increasing demands, how do we ensure the collections are diverse enough to have materials available to share? LLAMA Competencies Committee, member, 2015-2017; CODES/STARS Cooperative Collection Development Committee, member, 2014-2016; STARS Atlas Systems Mentoring Award Committee, member, 2015-2017; STARS Vendor Relations Committee, member, 2011-2013; STARS Organization Committee, member, 2008-2011; ACRL Distance Learning Section Bibliography Committee, member, 2005-2006. Author: “A brief history of E-prints and the opportunities they open for science librarians,” Science and Technology Libraries (Haworth Press). Volume 20, Issue 2-3, 2001. Effective and timely communication is critical for success in any enterprise, but especially for an organization like STARS with members from around the globe and for whom such outreach is an essential life-skill. If elected, I pledge to record STARS Executive Committee, All Committee, and Board meeting discussions faithfully and accurately and to share these notes with the members as quickly as possible in accordance with ALA operational regulations. RUSA STARS-Atlas Mentoring Award Recipient, June 2010. Contributed as a development partner member within the GWLA consortia on the innovative Occam’s Reader Pilot Project for e-book loans. Naomi Ikeda Chow and Ryan James: “A Case Study for PDA on a Shoestring Budget,” in Customer-Based Collection Development (ALA Editions), 2014. Naomi Chow, Arthur Shum, Erin Kim, Wing Leung, Beth Tillinghast: “Occam’s Reader Web Viewer and University of Hawaii at Manoa Contributions”, Journal of Interlibrary Loan, Document Delivery & Electronic Reserve (Taylor and Francis), Volume 24, Issue 3-4, 2014. I will aim to serve and improve the field of resource sharing and document delivery through diligent service on the Executive Committee of RUSA STARS in the position of Secretary. I will assist in our section’s endeavors to support RSDD practitioners in our daily work, to explore and innovate new methods to meet our patrons’ information needs, and to create dialogue across organizations, institutions and vendors/publishers to address issues that have mutual interest, as well as challenges, among us. As an active member of the Interlibrary loan community, I am very interested in the international aspect of the work and I am working closely with international colleagues through my activities in IFLA. Since our patrons’ information need become more diverse and international, a good international resource sharing network is very important aspect of our job. I wish to work on establishing and maintaining such a network and provide assistance to the colleagues with less international experience. I firmly believe that a good resource sharing starts from the information sharing, hence I wish to use my role in the RUSA STARS to actively cultivating an information sharing network among interested colleagues. Implemented a new work flow at Harvard University, thanks to a partnership with the IDS Project’s creation of an ILLiad add-on. This add-on connects ILLiad to our ILS (Aleph) and creates a brief record with a hold in Aleph for the patron automatically upon receipt of the item. The greatest benefit is allowing patrons to select one of many pickup locations in This new work flow has created a number of efficiencies that allowed us to consolidate workflows, eliminating 5 ILLiad sites from our original 15, with 3 more planned for this spring, which will nearly complete our goal to centralize resource sharing services in our very decentralized university. User Centric Improvements with ILLiad and NCIP, with co-presenter Bill Jones. IDS Project Conference 2014, Syracuse, NY, August 2014. I’m very much interested in becoming a leader in the broader resource sharing community. The operations that I oversee vary in size and geographic location so I am well aware of the challenges that libraries of all size face and can share best practices that I’ve learned. I’d like to continue to enhance the great success that RUSA STARS has had in educating librarians in Interlibrary Loan services, and bringing librarians together to think about how we can share our resources across the world to facilitate research. It will be great to collaborate with other resource sharing leaders to enhance services at my institution, as well as the larger resource sharing community.